Jesus vs Zeus – is there a connection? The name of Jesus in Greek. The sounds involved in both names are different. “Iesous” contains a sharp “S” sound—“Sooce.” “Zeus” begins with a clear “DZ” combination sound. These two may seem to have some similarity to English-speakers, because of our pronunciation of the letters S and Z. But the Greeks would not have seen such similarity. It should be further noted that “Iesous” comes from the Hebrew “Joshua.” (Evidence for this can be seen in Hebrews 4:8, mgn, where the Greek “Iesous” is used in reference to Joshua.) Thus its parent word actually uses a “sh” sound. The Greek language does not have a “sh” sound, and so the somewhat different sound “s” was used. The Greeks who came to Phillip in Jerusalem and wanted to see his Master, would have spoken that word “Iesous” in Greek, when they said, “Sir, we would see Jesus” (John 12:21). The fact that the English word we speak today is “Jesus” should not be of any more concern than the fact that we say “James” when in fact both the Greek and Hebrew is essentially “Jacob.” That is how names get altered somewhat when moving between languages. 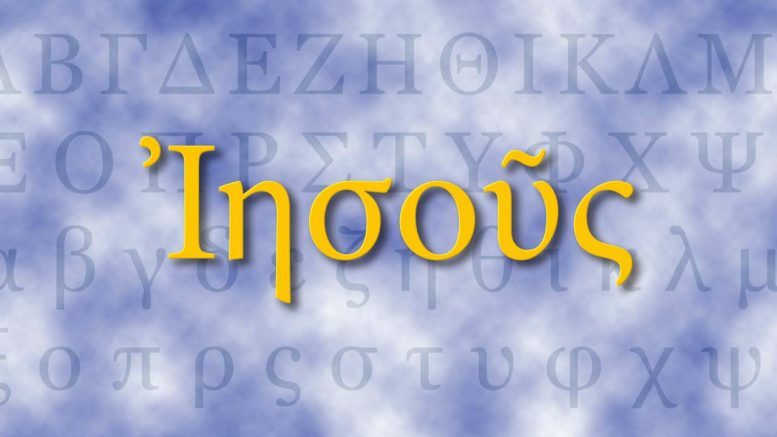 This understanding should satisfy us that the name of the Messiah, as we have it expressed in the Greek language, has no connection with the mystical god of the Greeks and Romans. “9 Wherefore God also hath highly exalted him, and given him a name which is above every name: 10 That at the name of Jesus every knee should bow, of things in heaven, and things in earth, and things under the earth; 11 And that every tongue should confess that Jesus Christ is Lord, to the glory of God the Father.” Philippians 2:9-11. Be the first to comment on "Jesus vs Zeus – is there a connection?"